Roni B. Sterin is a real estate agent with G&E Realty Group in Cooper City. Located in one of the most desirable areas in Broward County, Sterin understands the South Florida real estate market and delivers the highest level of integrity and knowledge to her clients. She has more than 15 years of marketing experience, which she uses to support her clients as they buy and sell real estate in the area. With excellent understanding, patience, and dedicated, Sterin is committed to helping her clients make the best real estate decisions with the most current and helpful information. Sterin serves all clients from first time home buyers to buyers seeking luxury waterfront homes in golf course communities, to sellers and more. She also offers multi lingual service in Spanish, Hebrew, and more. With fast service and open and timely communication, Sterin is fully committed to helping make her clients’ dreams come true. Clients feel that she is their advocate, looking out for their best interests and listening to their needs. They appreciate her swift action, attention, knowledge, and understanding of South Florida’s neighborhoods. Clients say it’s a pleasure to work with her and that she is dedicated and professional every step of the way. Denise Stewart is a real estate professional and team lead with Keller Williams Realty in Fort Lauderdale. She has more than 12 years of experience and is an expert in many South Florida areas, particularly Fort Lauderdale and the surrounding area. Stewart specializes as a buyer’s agent and listing agent. With her knowledge and expertise, clients can count on her for up to date information and expert guidance. Stewart knows Broward County inside out and helps her clients find the right homes at the right price with the neighborhood amenities and essential criteria that matter. She actively sells homes, not just listing them but advertising, staging, making repairs, showing, negotiating, overseeing inspections, handling paperwork, and walking the transaction through every important step all the way from start to closing. Clients say Stewart is remarkably professional and knowledgeable in showing, selling, and the area. Always responding quickly to questions and keeping them updated, Stewart’s clients appreciate her prompt service. They value her wealth of experience, local knowledge, and excellent customer service skills. With a no nonsense attitude, she delivers efficient service, understands their needs, and expertly guides them to the best homes, buyers, and real estate resources in the Fort Lauderdale area and beyond. Roman Pavlik is a real estate expert with Keller Williams Eagle Realty in Parkland. He has more than 18 years of experience in real estate and specializes in marketing waterfront homes in South Florida to international buyers who pay cash for full price offers. Pavlik frequently works with international celebrities, professional athletes, CEOs, and other high profile individuals to handle their real estate needs. Each of Pavlik’s clients gets extensive marketing support, including a full website, international exposure, weekly update, and more. Pavlik guarantees that every client will get full price — or he will pay the difference. Pavlik is endorsed by Barbara Corcoran, has been discussed by Glenn Beck and Sean Hannity, and was ranked the #3 Keller Williams team in the world in 2011. Pavlik loves South Florida and is always happy to assist clients seven days a week. Clients say Pavlik is a tremendous resource, offering an incredibly knowledgeable and talented team to support every real estate need. They appreciate his marketing, photography, video, and regular weekly feedback and market updates. Clients are blow away by his results, savvy negotiation, communication skills, and ability to market homes professionally and internationally. Tyler Tuchow is the president and broker of Kensington & Company Real Estate in Fort Lauderdale. He has more than 15 years of experience in real estate and has a background in finance. Tuchow specializes as a buyer’s agent and listing agent with areas of interest in commercial real estate and property management. He is also a real estate investor and supports investors as together they find untapped neighborhoods with the perfect properties. With a full support staff, Tuchow’s Kensington & Company real estate team offers personalized attention from energetic agents with particular areas of expertise. They offer excellent research, knowledge, and the ability to find the perfect home in Fort Lauderdale and beyond. Many agents are bilingual, offering service in French, Spanish, and Hebrew. Clients say Tuchow is professional and helpful, assisting them through the process and making sure everything is done correctly. They appreciate how hard he fights for them, working quickly and negotiating on their behalf to get them what they need. They know he keeps their best interests at heart and works hard to make sure each client gets the best deal. Working with Tuchow, clients say their anxiety and fears about the home buying or selling process are taken care of and they enjoy smooth, easy real estate transactions with him. Carl Marzola is president of Atlantic Properties International in Fort Lauderdale. He has more than 34 years of experience in real estate, specializing as a buyer’s agent and listing agent with special interests in relocations and commercial real estate. Marzola is committed to helping every client find superior real estate investments, whether they are buying, selling, renting, or seeking a residential or commercial opportunity. With meticulous attention to detail and research, Marzola’s clients get the highest level of professional service available. And with Marzola’s extensive professional network, clients are able to take advantage of recommendations for excellence in inspection, title work, lending, even immigration. Marzola has earned the prestigious Master Broker designation as well as the Certified Residential Specialist designation and the Certified International Property Specialists designation. Clients say Marzola is honest, professional and always available. They appreciate his patience and understanding and excellent commitment to service. George Coloney is the team leader of The Coloney Group of Related ISG in Fort Lauderdale. A military veteran with extensive business experience, Coloney is known for his take charge attitude and elite sales skills. He takes a no nonsense approach to selling real estate as an expert negotiator and experienced businessman. Coloney is one of the top agents in Florida and is in the top 40 nationally, leading the real estate industry in short sales and preforeclosures. Clients say Coloney and his team are knowledgeable, helpful, and supportive. They make the entire process easier and always put client needs above their own. Clients appreciate the team’s ability to answer their questions, making the process smooth. They especially value Coloney’s team’s upfront, honest service and advice. Jose A. Gouvea is a real estate professional with Florida Luxurious Properties in Fort Lauderdale. He has more than 13 years of experience and specializes as a buyer’s agent and listing agent with interests in relocations and consulting. Focusing on residential real estate, Gouvea supports clients as they buy, sell, and invest in single family homes, condos, and waterfront properties. Gouvea and his team are dedicated to understanding the unique needs of each client and assist clients at any price point. Offering the highest level of service, he is happy to support clients and offer real estate knowledge. An international businessman, Gouvea offers service in multiple languages including English, Spanish, French, German, Italian, Portuguese, and Russian. And with a background in finance, Gouvea has expertise to assist clients as they reach their financial goals in real estate. Clients say Gouvea and his team are knowledgeable about the market, home buying process, and more. They are impressed with Gouvea’s ability to negotiate, communicate, and offer a seamless process from start to finish. With excellent service, follow up information, and availability, Gouvea’s clients feel supported every step of the way. Marcelo Olsak is a real estate broker in Fort Lauderdale. The founder of Florida Brokers Real Estate, he has more than 15 years of experience in real estate. Olsak offers full service for every real estate need, ranging from real estate sales or purchase to property management. Olsak and his team have sold more than 2,000 properties since founding Florida Brokers Real Estate. They currently manage more than 500 investment property accounts. Clients say they enjoy working with Olsak. He listens to their needs and offers honesty, loyalty, and superior service. They are impressed by his results. Working with Olsak is simple and easy with his tailored roadmap for every client. Jay Oreman is a real estate professional with Home Solutions in Fort Lauderdale. He specializes as a buyer’s agent and listing agent with interests in relocation and property management. A resident of the Fort Lauderdale area for more than 10 years, Oreman has an in-depth knowledge of available properties and is committed to closely following the market conditions. With this knowledge, he confidently negotiates on behalf of his clients and works diligently to get every client the best possible price. Offering attention to detail and the best representation, Oreman is committed to excellent service from start through closing. Clients say they feel well supported by Oreman as he always quickly addresses their questions or concerns and is easy to work with. They appreciate his knowledge and marketing strategies as well as his timely updates and ability to handle every important detail. Gary Lanham is the team leader of the Gary Lanham Group in Fort Lauderdale. He has more than 13 years of experience in real estate and specializes as a buyer’s agent and listing agent with areas of interest in relocation, luxury homes, and vacation homes. His team has more than 50 years of real estate experience, including complex real estate transactions. Using new technology including videos and drone videography, they showcase homes to get listings sold fast. They are also able to keep buyers informed of new listings. Lanham is a member of the Master Broker Forum, an elite group of 166 Realtors out of 21,000 in Broward County. Clients say Lanham and his team are enthusiastic, professional, and offer excellent marketing expertise and follow through. With an exceptionally fast process, clients of Lanham say he works quickly to help them reach their real estate goals while reducing their anxiety. And they always feel like Lanham and his team have their best interests in mind. Iliana Ivanova is a broker with Posh Estates in Fort Lauderdale. She has more than 22 years of experience in the South Florida real estate market. With a dedicated to the highest level of professional standards, Ivanova regularly exceeds expectations with her personal service. She has knowledgeable advice, an understanding of each client’s unique situation, and the expertise to guide every client in the right direction. With an extensive understanding of the mortgage lending process, Ivanova is an asset for any South Florida real estate transaction. Clients say Ivanova makes every transaction smoother with responsive service and a caring understanding of their needs. They value her knowledge and advice on properties and appreciate how well she answers all of their questions. They say she is enjoyable to work with, offering a cheerful demeanor and superior professional qualities. She goes above and beyond to make every real estate transaction a successful one. Erika Axani is a brokerage analyst with Florida Luxurious Properties in Fort Lauderdale. She is a buyer’s agent and listing agent specializing in consulting, commercial real estate, property management, high rise condos, and estates. As an analyst, Axani has a superior understanding of the best opportunities for her clients and has an eye for analyzing investment potential. Axani is dedicated to actively marketing homes with custom advertisements, brochures, and even international affiliation. Active in the community, Axani is the cofounder of the Happy Hour Supporting Broward Children’s Center and sits on the Comprehensive Care Center Board with the Broward Children’s Center. She founded Envision Broward with the United Way, is an Outreach Committee member with Mission United, and is a member of Club211. She was named one of 100 Outstanding Women in Broward County by the Boys and Girls Club and Sun Sentinel‘s Budding Philanthropist in 2012. Clients say Axani is always well prepared, organized, and has excellent negotiation skills. They appreciate her ability to stay on top of all the details and her willingness to go above and beyond to take care of details for them. They say she is energetic, efficient, determined, and exceptionally supportive. 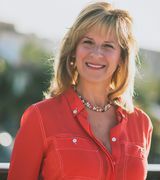 Jacquelyn Scott is the team leader of Jacquelyn Scott & Associates in Fort Lauderdale, a full service real estate team made up of full time real estate professionals with more than 30 years of combined sales experience. Scott and her highly qualified real estate professionals are dedicated to making buying and selling a home easy and enjoyable with comprehensive, personalized, and efficient service. Jacquelyn Scott & Associates is among the top 1 percent of agents in all of North America. They have extensive experience and a vast knowledge of the Fort Lauderdale area. Scott has lived in Fort Lauderdale for more than 45 years, and has an extensive network throughout the community. She and her team are dedicated to using their expertise to help every client successfully navigate the process of buying or selling a home in the Fort Lauderdale area. Clients say Scott is sharp, a tough negotiator, and a great asset to have on their side. They’re pleased with he results and say she offers a superior, smooth real estate experience. They appreciate her kind, caring, and understanding approach as she supports them in every real estate transaction. John D’Angelo is the broker and owner of the D’Angelo Realty Group in Fort Lauderdale. He has more than 28 years of experience in high-end real estate in Fort Lauderdale. D’Angelo and his real estate team are leaders in the Fort Lauderdale real estate market and he has an extensive knowledge of real estate and the luxury condo market. As experts in the market, D’Angelo and his team consistently deliver the best possible real estate values for clients. They have a reputation for outstanding quality and service with an integrated approach. D’Angelo and his team offer services in multiple languages, including Spanish, Portuguese, Hebrew, Russian, Italian, German, French, and Dutch. Clients say D’Angelo is resourceful, knowledgeable, and genuinely interested in supporting them as a real estate expert. They feel well taken care of as D’Angelo and his team take care of the details, recommend highly qualified professionals, and offer efficient assistance every step of the way. With D’Angelo’s guidance, they feel they are in good hands and are able to enjoy their transaction without worry.